Greetings and Happy November! I have a question for you. Outside of English/your primary language, do you know a different language? I’m pretty sure it’s an obligation to take a foreign language in school, but do you use any of it now? In high school, I took American Sign Language. It was different than the regular options of Spanish and French, but it was one of the best decisions I’ve made. We took this course – lessons plans and videos included. Learning the words and phrases, but then also getting experience with dialogue. Don’t get it twisted, it wasn’t easy. I got wrong answers and I definitely got graded. Since voice isn’t always included, you really have to be expressive with your gestures and your eyes. To me, that was a connection since I was involved in dance and theatre. During my Senior year in HS, I performed to a song (“Lead Me I’ll Follow” by Rachael Lampa) using interpretive sign language during a talent show, and by the end of year, I was known as the girl who signs. A lot of times when you see performances and an individual is signing, he or she won’t always sign every word (ex: taking out articles or combining two signs). It’s been over 16 years since I started learning and I’m rusty, so a goal of mine for the next year is to brush up on my technique. 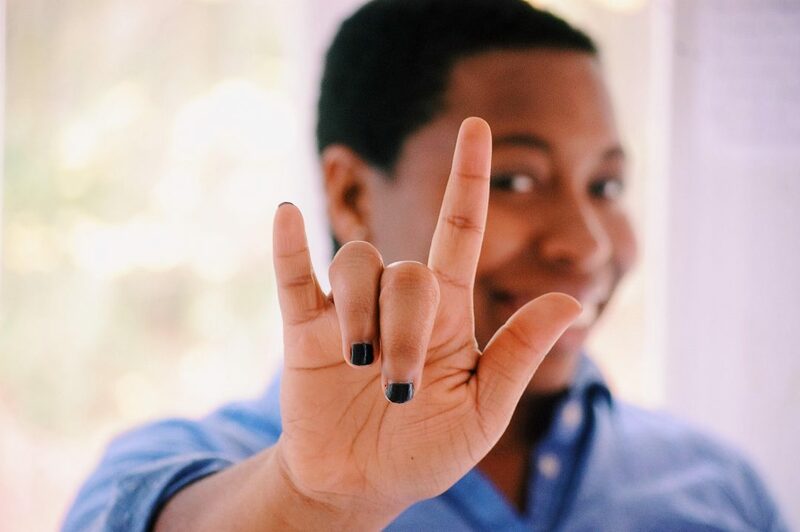 Over the years, through work and just being out and about, I’ve been able to talk to kids and adults who are Deaf, hard-of-hearing, and other individuals who use ASL as their primary language. Being able to sign has been a blessing and I’ve seen from experience how knowing the language as helped others. I’m okay with conversational sign language; usually, I’ll talk as I sign. Sometimes, I get embarrassed if I’m not as sharp when I am with someone, but usually the other person is receptive and appreciates the effort. As with all languages, there are variations of signs, depending on the country or region. It’s also detail-oriented. Where you place your hands can make a huge difference in the meaning of the word/phrase! There are specifics in sign language and you can’t be lax about it. But still, it’s a beautiful language and I get excited when I see someone use ASL. I try not to stare or eavesdrop! I personally think everyone should learn how to fingerspell and learn basic signs. Just like most of us know words in different languages because of school or even with pop culture, I think sign language should be in our repertoire. You never know when you might need to use it and it’s always good to be prepared. Have you seen signs in stores to let customers know that staff members can speak a secondary language? Wouldn’t that be cool to have an employee who can sign in every store or office, so they can help their guests? So the guests can feel at ease? That’d be so awesome. When we step outside of our comfort zones so we can help others and eliminate boundaries, we’re sharing love. Have you seen this book in the library? The Joy of Signing was a go-to when I was learning. I just checked on Amazon and there’s a third edition. My youngest brother watched a show called “Signing Time” when he was little, so he was able to learn while watching and singing along. I don’t know what it is, but when there’s music involved, sometimes it’s easier to learn something new. I searched for websites that are accessible to everyone to learn ASL. Dictionaries, full courses. The possibilities are endless! YouTube is a great resource too. 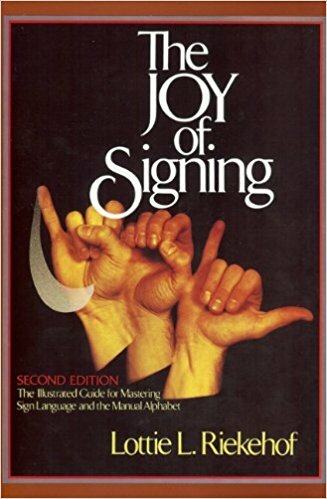 HandSpeak, Signing Savvy, SignIt ASL, Sign Language 101. Have you learned a second or third language? What about now, if you’re out of school? For work? Do you use Duo Lingo or other courses for enrichment? Parents – do you encourage your children to learn? Let me know!